In October, Transport Canada put a proposal to the 13th ICAO Air Navigation Conference on the topic, which was well supported. The change is something we should expect in due course. In the meantime, it seems our use of magnetic north has just become less accurate again, and those runways might not be exactly where you think they should be. It gives additional focus to the need to switch navigation away from magnetic north to True North. NavCan did testing last year in Nova Scotia which confirmed the reasonableness of the change and that it can be achieved successfully. 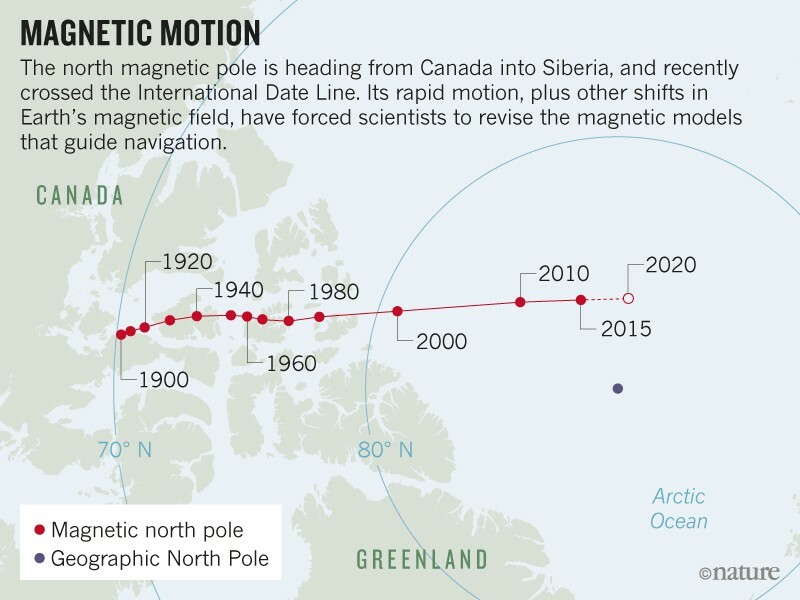 By Alister Doyle OSLO, Jan 11 (Reuters) – Rapid shifts in the Earth’s north magnetic pole are forcing researchers to make an unprecedented early update to a model that helps navigation by ships, planes and submarines in the Arctic, scientists said. Navigation systems in cars or phones rely on radio waves from satellites high above the Earth to pinpoint their position on the ground. “It doesn’t really affect mid or low latitudes,” Beggan said. This entry was posted in Blog, Newsletter on 2019-01-17 by Secretary.